Whatever the reason that you decided to learn another language, learning does not have to be tedious and painful. Games are the ideal way to both learn and enjoy the process. After all, if it is fun, you are much more likely to keep doing it. And you are more likely to remember what you learn. While some repetition is required, you need to make it a fun experience – and there is nothing like playing games to do that. Games shake up what you have learned, test it, and help you feel like you’ve accomplished something. So keep the repetition, but add a little fun to your daily language learning. Not sold on the idea? 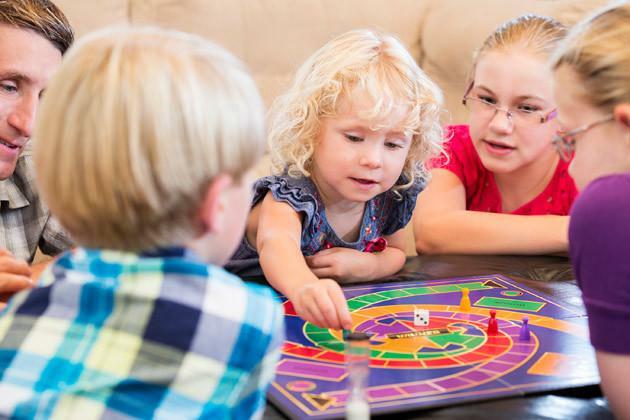 Here’s why you should add regular games to your learning experience. We learn over time that learning is a chore. It should be dry and boring. The truth is that idea is absolutely false. Everything is easier to learn when there are games involved. Think about it. When you were a young kid (five and under), all you did was play. And you learned everything you need to know about how to interact with the world. You didn’t do that by sitting and studying when you were 3 – you did it through play and experience. Rote memorization will only get you so far. True learning is accomplished through responding under pressure. Games do that in abundance. Whether you join in a competition or are timed, games put you under pressure, but make it fun to learn. Your brain is stimulated and you are enjoying the experience. It also helps you to develop associations that rote memory fails to touch. Learning is all about experience. If you are told something, the odds are you will forget it within a day. If you see something in action, you may make a few connections, but you still won’t understand why something works. If you get a hands-on experience, the concept becomes personal. Games are that experience. Instead of a passive environment where you are told and shown, you get to do and feel. Because more of your senses are involved, there are more triggers to help you remember. This is a dynamic learning environment. Another reason it works well is because you can play games pretty much anywhere at any time. When you are waiting for your order, you can play a game. When you are waiting for your late friend to arrive at the movie, you can play a game. During your evening walk, you can play a game. Games give you a chance to learn strategically, too. You can focus on specific areas, targeting concepts that you’ve had trouble learning through more traditional means. Because it is a game, it feels a lot less like work, too. If you have spent 30 minutes trying to drill something into your head, find a game that focuses on the concept. It will be far more effective in helping you both understand and use the concept. One of the best things about games is that they help keep you from feeling self-conscious. As you get caught up in the action, you forget to be aware of your mistakes. Finally, games are a much better motivator than traditional learning methods. Being able to learn when you have some free time means you are more likely to learn, and when you get to compete you will find that you want to keep going back for more. As you move to the next level of the game, you will learn more while integrating what you have already learned. You also have the proof that you are progressing in your learning. There have been plenty of studies into learning through games. A research study in 2003 examined how effective game-based education is for those learning a new language. There were two primary observations from the study. The enjoyment and competitive nature of the games made for a relaxed environment where students were more comfortable learning. The rate of learning and information retention improved over the study. Across the numerous studies, 10 benefits were identified for gaming while learning a language. It is an effective use of the time available. It isn’t the usual learning method. Having context makes things clearer. Gives you more motivation to keep learning. Helps you learn to communicate. Encourages further learning in the language. Develops better attitudes about the lessons and learning process. Combines several different learning methods. As you play, your brain is stimulated to integrate what you are learning in a way that is much easier to recall later. There are a lot of games out there, but not all of them understand that you are meant to be playing. If you don’t want your gaming to be very similar to your rote memorization, check out these games. The first two are available online and as apps. The remaining games are all app-based games for your portable devices. This is a leveling up game that you can play alone or with others. While it does not include most Asian languages, you can find native Asian language speakers learning English. See if they want to partner up outside of the game for some additional learning. If you are learning western languages, you will have the chance to really compete as you learn. Combining viewing and learning, this is a unique approach to acquiring a new language. Watch clips (movies, trailers, adds, vlogs, you name it) and interact with them to learn what is going on. Focus on the vocabulary and FluentU will track it for you. If you want to learn how to speak, this is the game you need. With speech recognition, you can learn how to sound more like a native speaker. It is more like practicing than gaming, but you can feel much more comfortable since you are less likely to be self-conscious with a computer program than a person. This game uses the array of games that children use to learn. And they are highly effective methods. From visual recognition to pronunciation, you will have your hands full with this app. Want to compare how you sound compared to a native speaker? Check it out and see where you are making your mistakes. There is a reason this company has won the “best education app of the year” award – their design and game play are clean and easy. Play through a number of mini-games to take a new approach to a single element of the language. The games are primarily identification games, so you will be choosing the right word based on the word in English or another form of recognizing the word with the English equivalent.